Contact us today to rent a Porta Potty! Regular septic tank cleaning keeps your home running well and smelling fresh. Regular septic tank cleaning can ensure that your system keeps your home running well and smelling fresh. Schedule a regular grease trap cleaning so that you can say bon appetit with confidence. Environmental Stewardship is a concept all of us must practice in our daily lives. We will come to you to setup your porta potty. Contact us today for your portable toielet needs. Let’s face it. There are certain places in this world that are just too dirty for most people to think about, much less want to poke around in, like the innards of a septic tank, a grease trap or waste water lift station. We can pump from 25 gallons up to 25, 000 gallons, We have trucks that range from 2,500 to 8,000 gallons. At Enviro-Vac, we have the tools, and the stomach, to take care of these dirty but necessary components of daily living in Shreveport and do it efficiently and affordably. Some septic tank cleaning companies are prepared to handle residential jobs but won’t touch commercial or industrial systems with a ten foot pole. Enviro-Vac isn’t one of those companies. We have the vehicles, equipment and technicians trained to handle any size septic tank installation, cleaning or maintenance job. So bring us your most challenging situations such as failing drain fields, clogged effluent filters or systems that haven’t been pumped since the first Bush administration, and Enviro-Vac will get things back to normal. At Enviro-Vac we believe that just because we do a messy job, doesn’t mean we have to do it in a messy fashion. From your first contact with us to the minute we pack up our hoses and head home, you can rest assured that your dealings with Enviro-Vac will be cordial and professional. 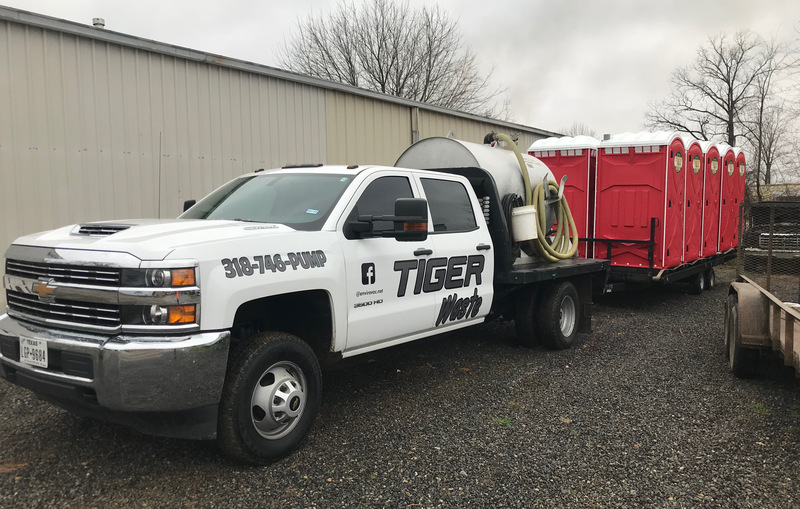 Since we opened our doors in 2009, we’ve solidified our reputation as the company to call any time you need septic tank service, grease trap cleaning, or repairs to your water well, pump or lift station. Call our office in Shreveport, LA for a quote! At Enviro-Vac, we go the distance for our customers in more ways than one. From our base in Shreveport, we service residential and industrial clients throughout the state of Louisiana, as well as Texas and Arkansas. We welcome the opportunity to earn your business, so call today with a question or to get a quote!